Take a break from everyday life with a holiday at one of our charming cottages in true French countryside. 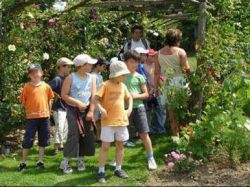 Festivals and events in the Deux-Sevres and Poitou-Charentes. The hospitality and welcome of the local people, their heritage and traditions will surprise and charm you. Inhabitants are happy to share their knowledge of interesting "hidden" places and the produce.